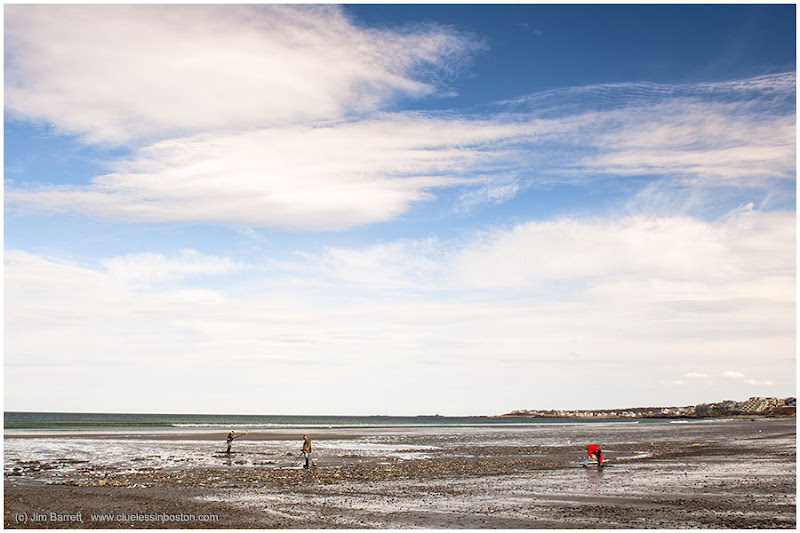 Treasure hunters on the beach, Hull, Massachusetts. A different picture from Nantasket I posted in B&W on Light Impressions a few days ago. So beautiful picture, it's a peaceful day at the beach!I'm fan of your lovely compositions! How different it all looks in colour! So much sky. I caught treasure hunters on the bank of the Thames yesterday morning but was too late to stop and take their photo. So different from our beaches on the Gulf Coast. Do you get many shells there? Such beaches are my favorite places in the world! Is Nantasket an Indian ( = native american) word? Hope they find some treasure out there! Super shot, adored the b&W shot over on Light Impressions.